The OnCourse Drama Quiz assesses individuals’ tendencies to fall into energy-draining behaviors in their interactions with others. 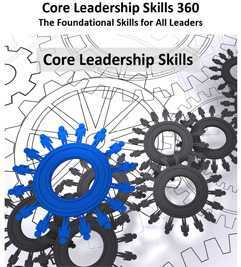 It allows self-assessments by an individual and assessments of the individual by others (co-workers, managers, subordinates, partners, family members, or any third party). 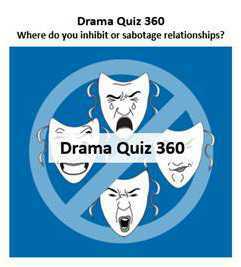 Single individuals or groups of any size may use the Drama Quiz. The assessment creates a comprehensive report which you may view either on screen or as a downloaded PDF file. 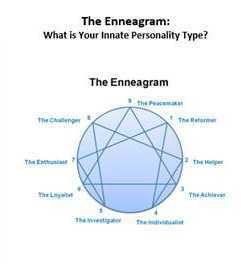 The Enneagram is a personality profiling system based on human behavior and motivation. 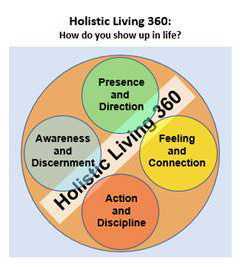 It defines nine distinct, yet interrelated, personality types, and the thinking, feeling, and acting patterns of each type. Unlike other personality typing systems, the Enneagram model describes healthy, normal, and unhealthy behaviors of each type. 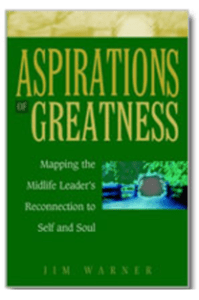 Aspirations of Greatness presents the relatable stories of eight high-achievers in business, medicine, and ministry as they face their disillusionment and embark on a journey toward a more authentic and rewarding life. Their sagas of individual growth and transformation will personalize and illuminate your inner journey to aliveness and fulfillment. 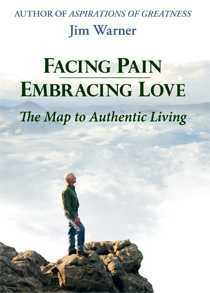 Aspirations’ proven concepts, models, and strategies will guide you toward inner peace, healthier, more intimate relationships with your loved ones, and a passionate reconnection with the ultimate purpose of your life. 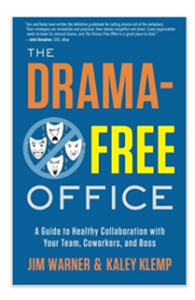 The Drama-Free Office describes four energy-draining personalities that sabotage workplace collaboration and synergy. Jim Warner and Kaley Klemp blend humorous and relatable case studies with proven tools for managing ‘office saboteurs’—subordinates, co-workers, and bosses. Readers will see their coworkers (and themselves) in this entertaining blueprint for addressing the dramatic behaviors that cripple so many teams. Independent Book Publishers’ Association Best Business Book of 2012. When Having It All Isn’t Enough identifies the issues, dilemmas, and emotions faced by an emerging generation of successful, but unfulfilled, professionals. 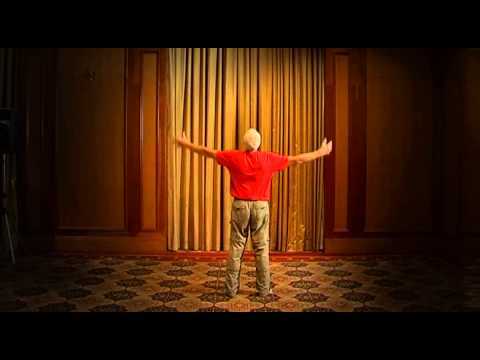 These “winners with heart” appear to have it all, yet yearn for purpose, connection, and inner peace, along with a renewed energy and aliveness. They have attained affluence and power, but confess to feeling little sense of mission, meaning, or connection in their lives. 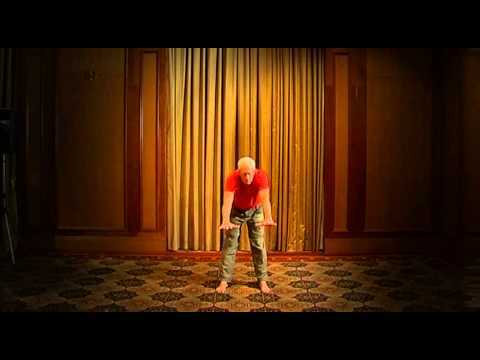 Who am I outside of my vocation? What is the role of money in my life? How do I achieve greater intimacy and communion with my spouse, family and friends? 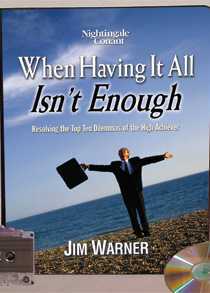 When Having It All Isn’t Enough workbook has discussion-guide questions and exercises linked to the series’ 12 trainings. Often, members of YPO forums or other small groups will listen to a 30-minute audio session in preparation for their regular small-group meeting, and then use the workbook discussion questions or exercises as a stimulus for small-group discussion. To gain a feel for the workbook content and its application, both for an individual or within a small group, download the Whole-Life Vital Signs Checklist. Listen or download excerpts from the audio series.